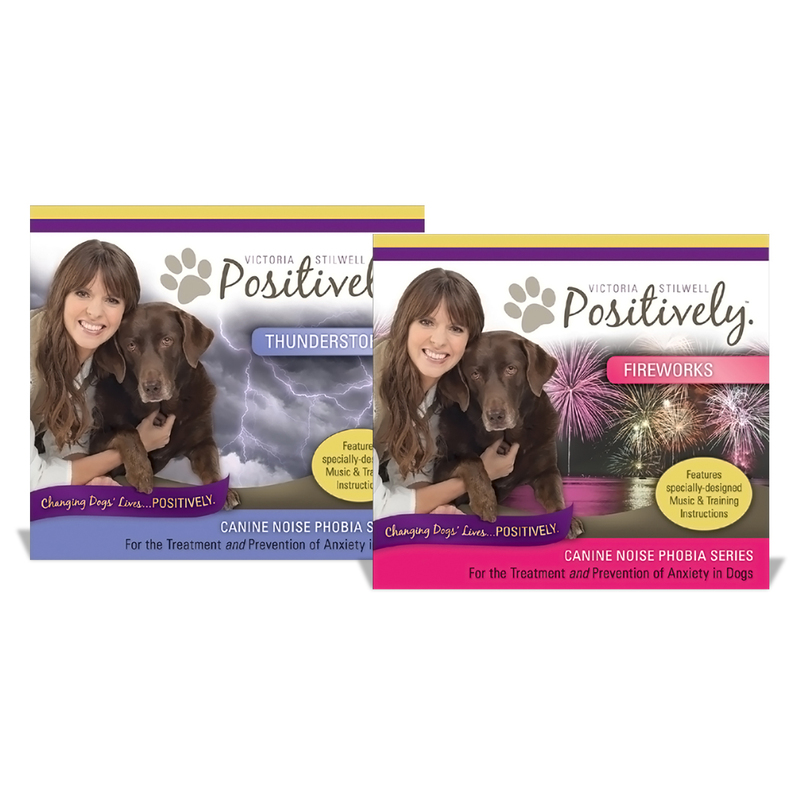 The Canine Noise Phobia Series can help dogs overcome their fear of thunderstorms or fireworks, and can also be used to help prevent phobias from developing in other dogs. The dog first learns to associate positive feelings with the music on the CD. Once he is calm and relaxed, thunderstorm or firework noises are slowly introduced alongside the music at gradually increasing levels while the owner continues to provide positive experiences. Eventually, the dog is able to function normally during even the most intense fireworks or thunderstorm activity. To learn more, visit www.CanineNoisePhobia.com.